Blood Centers of the Pacific (BCP), a local non-profit blood provider, is proud to partner with 5 Star Car Wash in Vacaville for another lifesaving event. Bill Proestler, owner of 5 Star Car Wash and Detail Center, is passionate about giving blood. His daughter has been a recipient, “Kortney at age 18 was diagnosed with Non-Hodgkin Lymphoma. She was treated aggressively at UC Davis in Sacramento for over a year. Her treatment required a bone marrow transplant, radiation and chemotherapy. 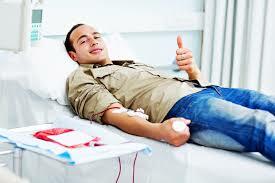 The whole process required over 80 units of blood. It’s important for us to hold these events at our business to help others survive. BCP has been a community blood provider since 1941and serves patients in more than 45 hospitals in the Bay Area. We rely 100 percent on volunteer donors who save countless lives each year. BCP needs to see 500 donors a day to meet the needs of local hospitals and patients. “Blood is the most precious gift that anyone can give to another person – the gift of life.” states Kim Walsh, BCP Mobile Account Coordinator. “We are grateful for 5 Star Car Wash’s continued support and dedication. Through our partnership, 330 lifesaving units of blood have been donated.” Please join us at the May blood drive. Promotion: Donors will receive a coupon for a free car wash. The blood donation process takes about an hour. Donors must be at least 16, weigh a minimum of 110 pounds and be in good health. Additional height/weight requirements apply to female donors 22 and younger. Donors who are 16 need a signed BCP parent permission slip. Arrive well nourished and hydrated with photo identification. Donors may complete the health questionnaire prior to their appointment but the same day as their donation. Visit www.bloodcenters.org and click the FastTrack link. Every day, blood donors save lives in our community! Blood Centers of the Pacific, blood donation, blood drive. Bookmark.